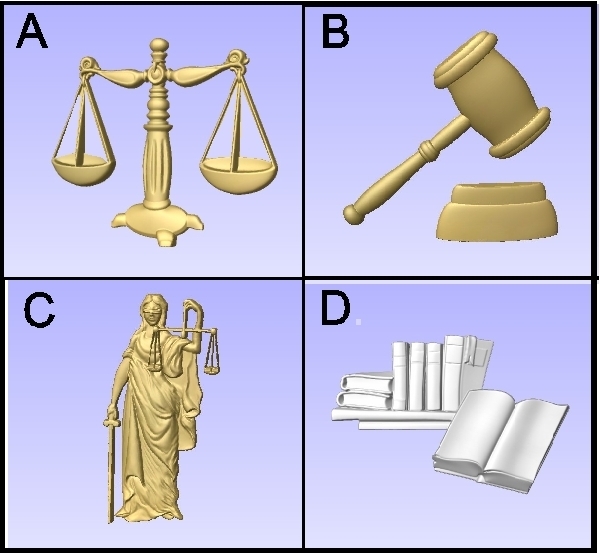 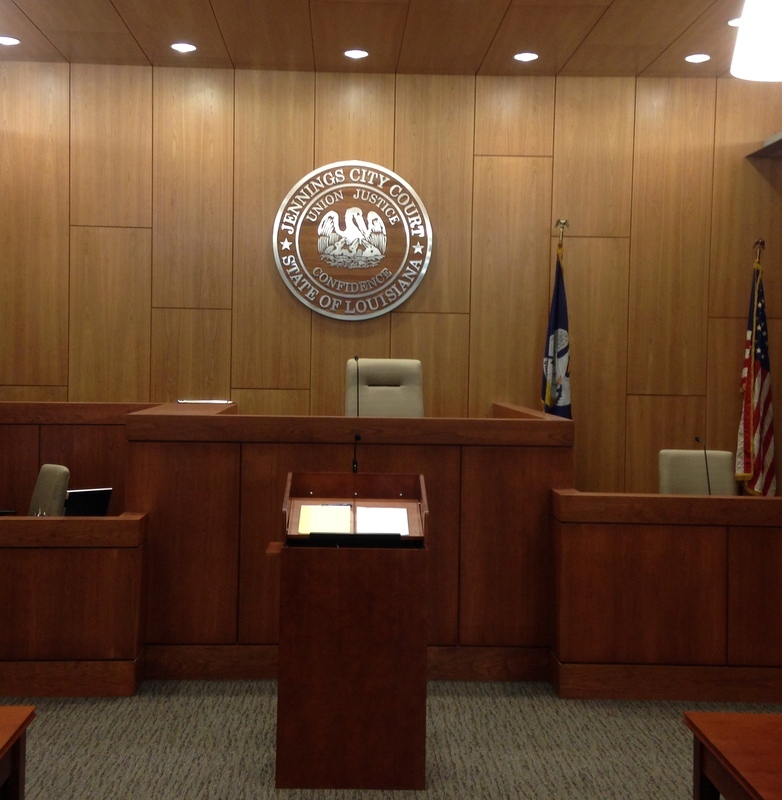 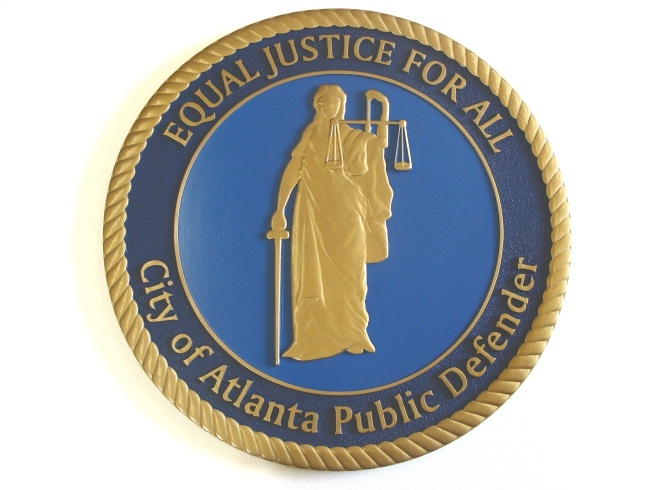 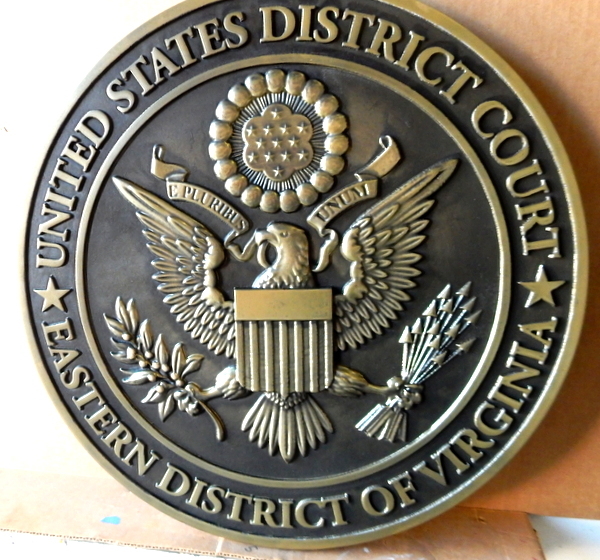 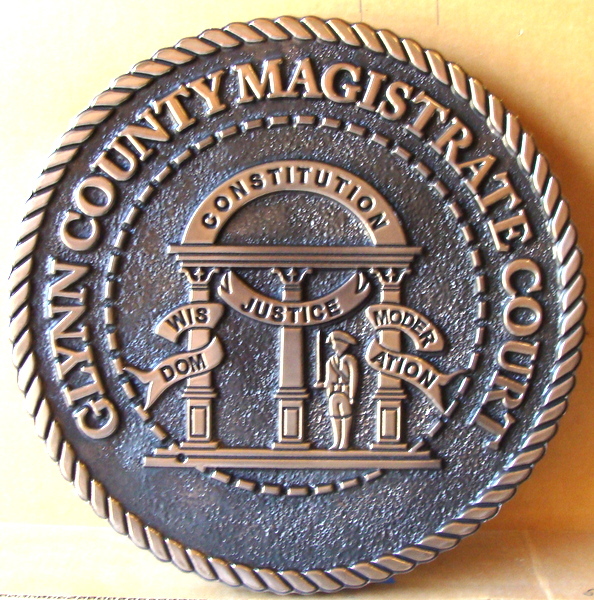 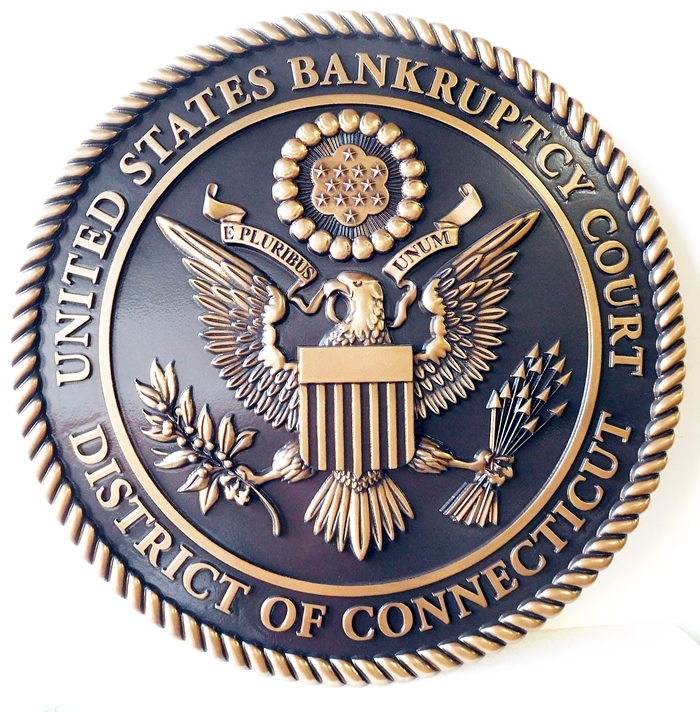 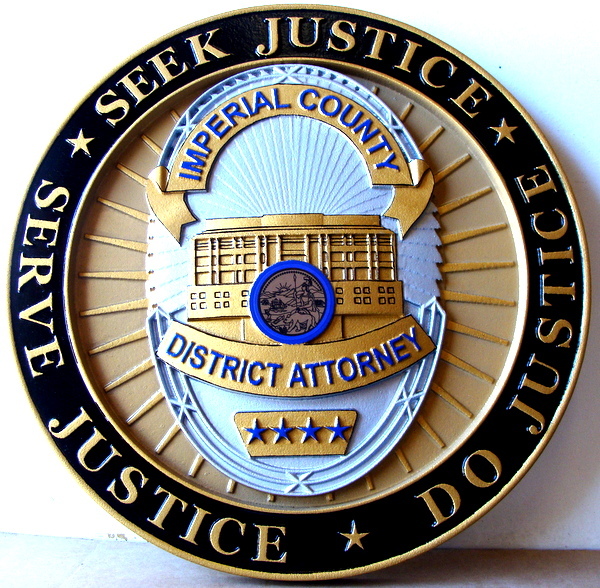 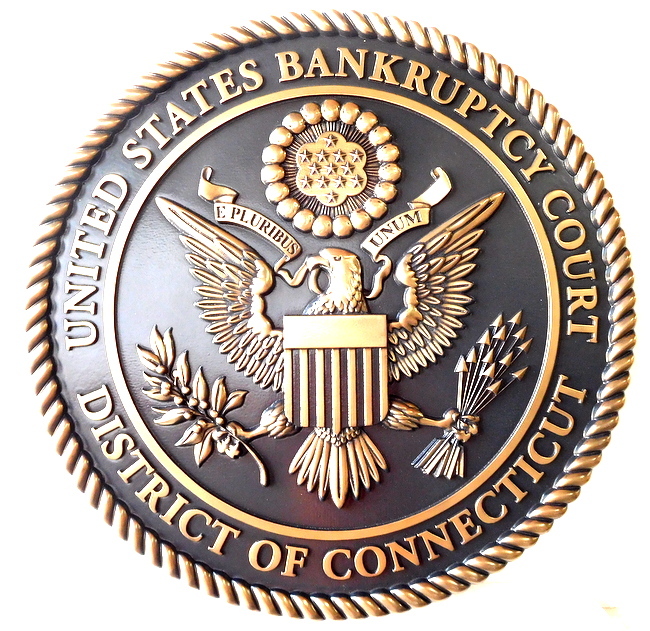 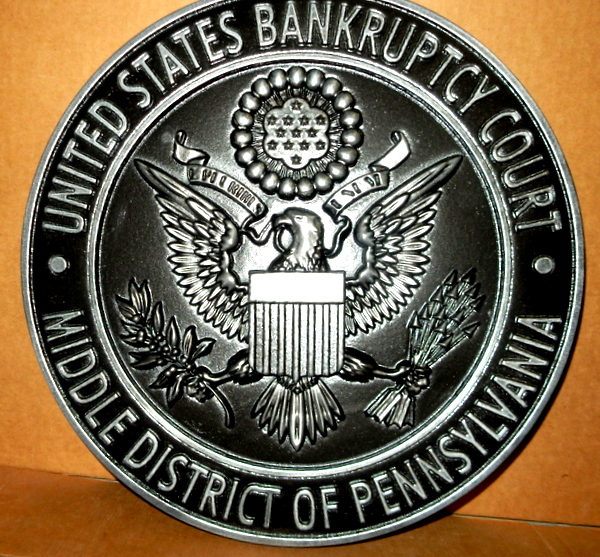 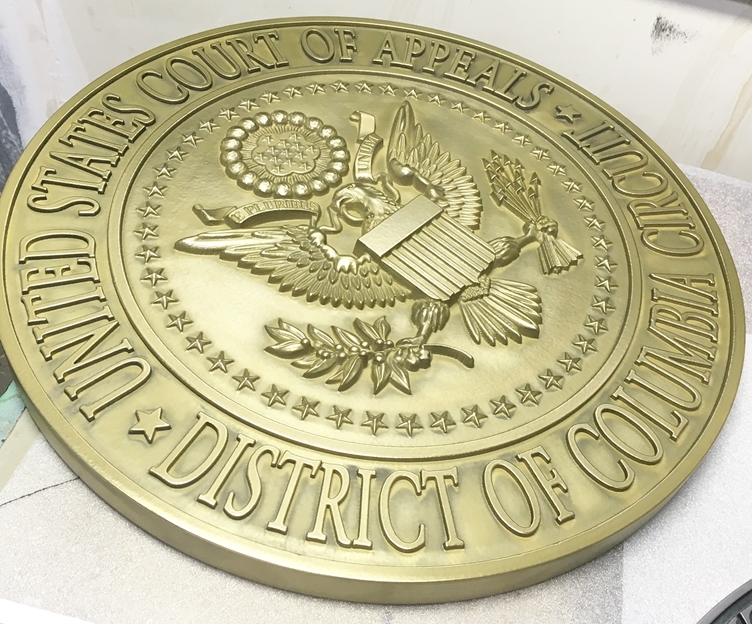 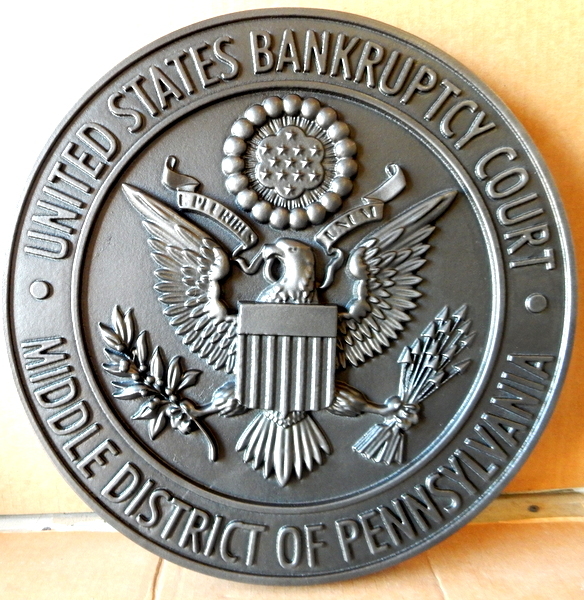 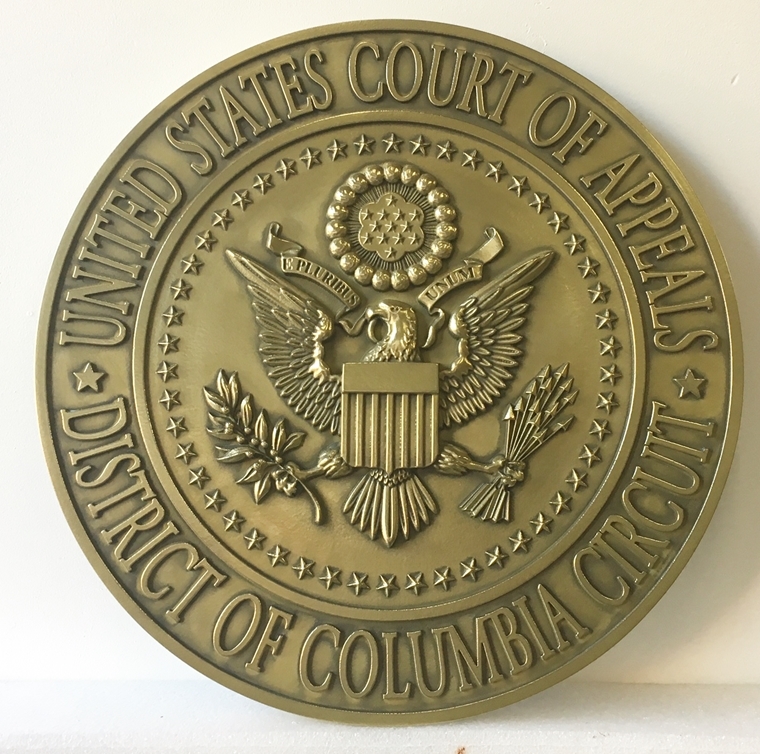 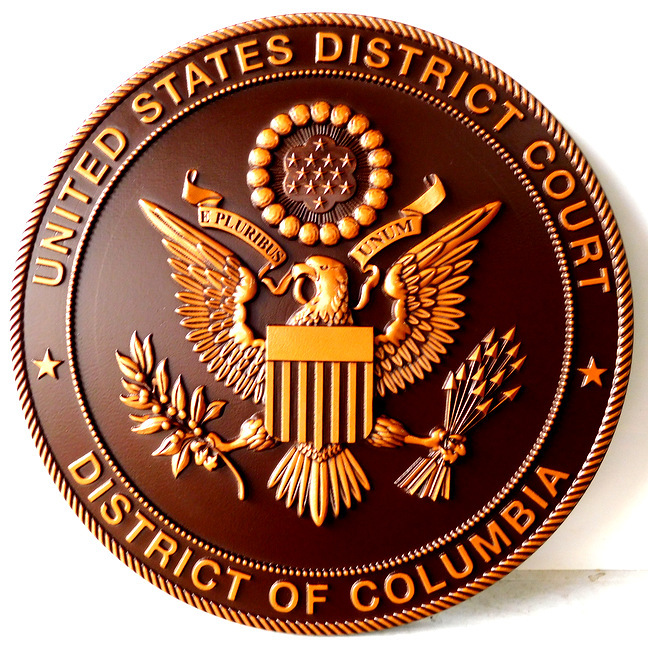 A10819 - 3-D Brass Wall Plaque for Bankruptcy Court, District of Columbia. 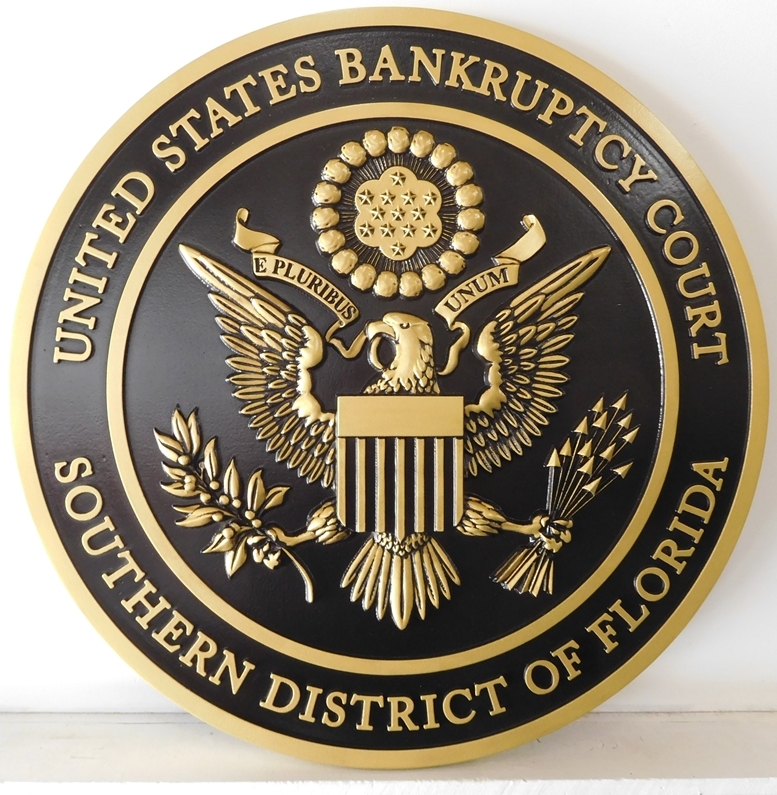 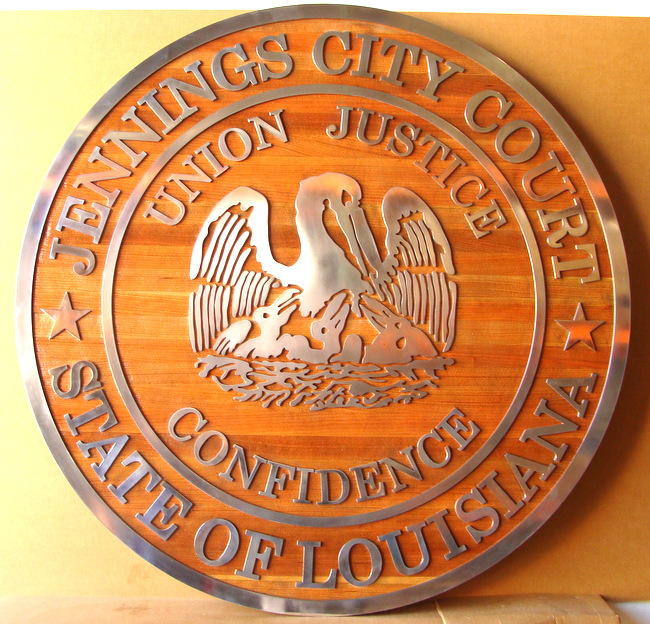 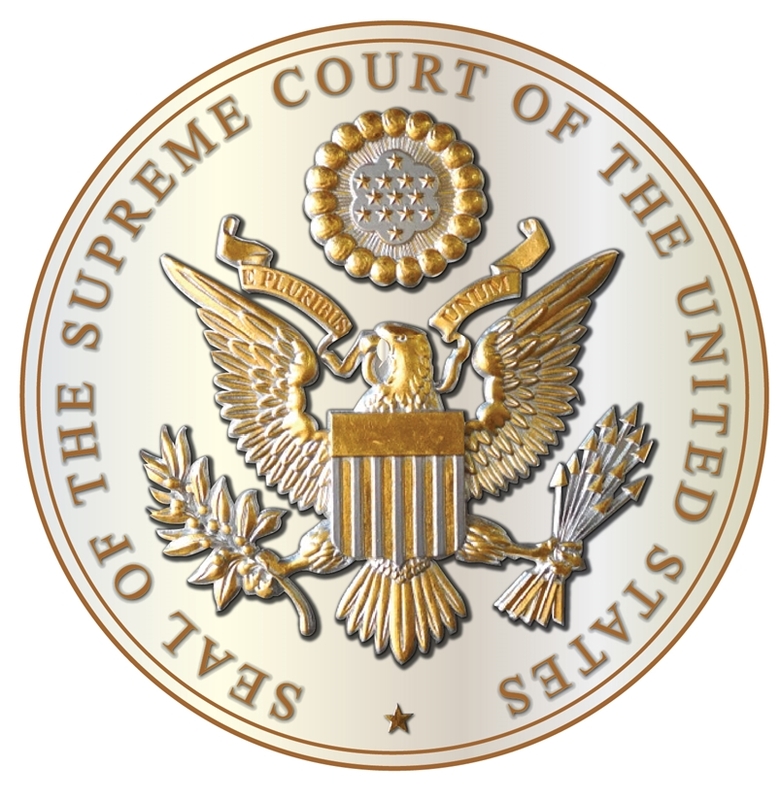 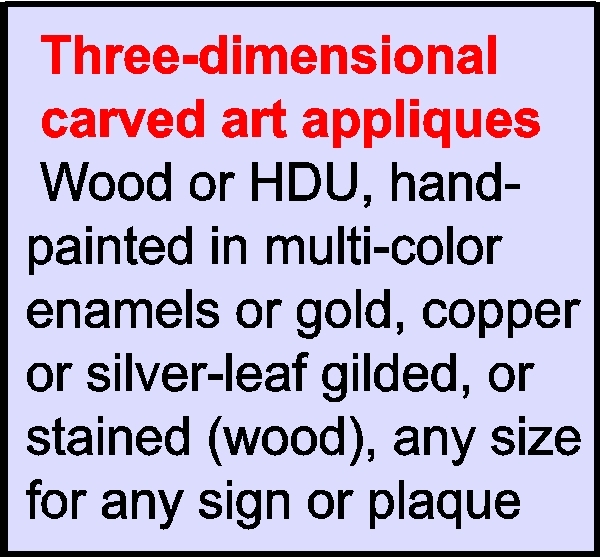 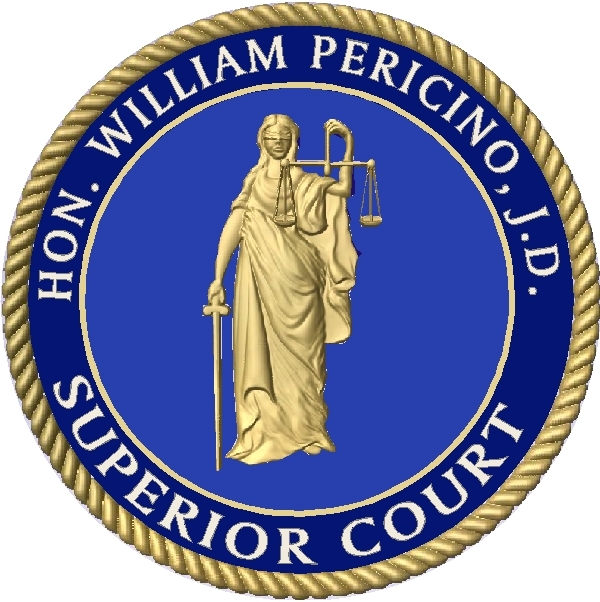 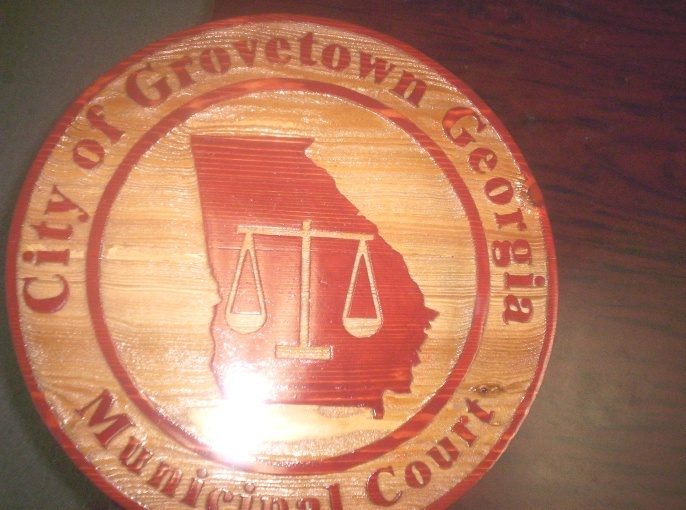 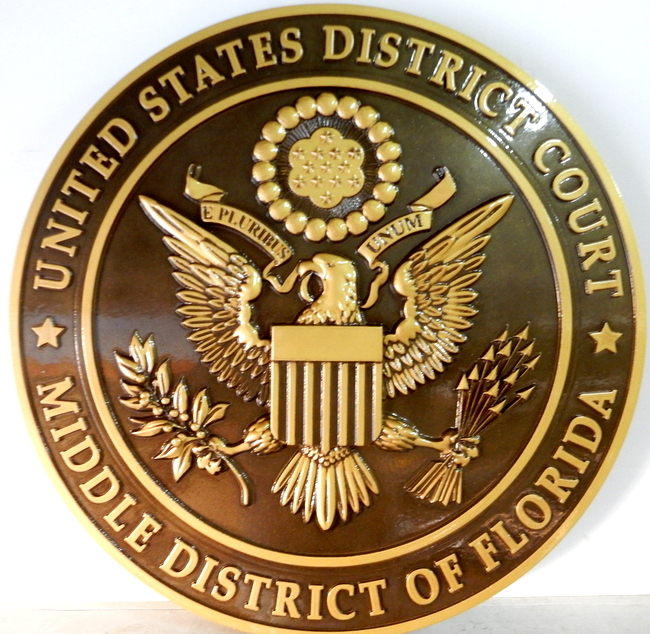 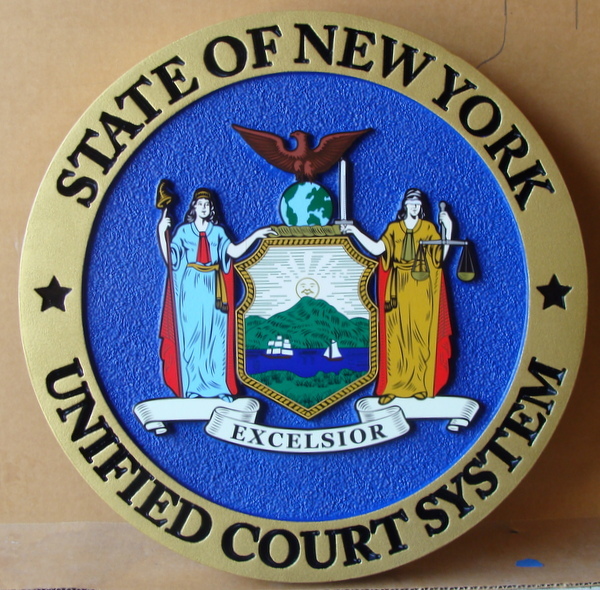 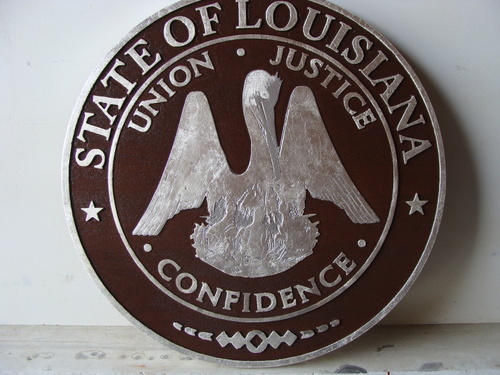 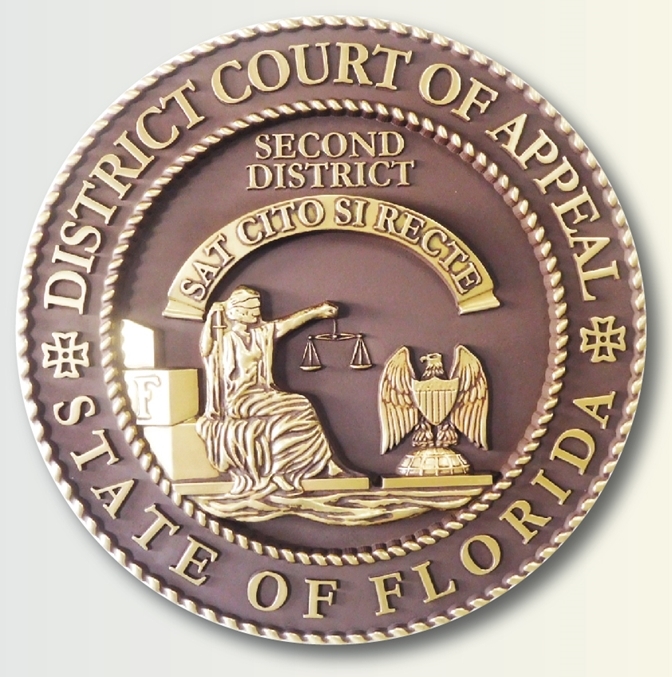 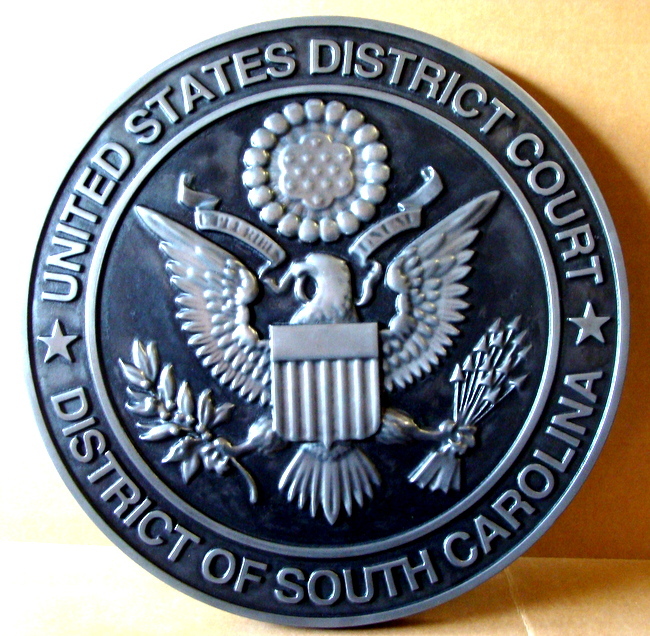 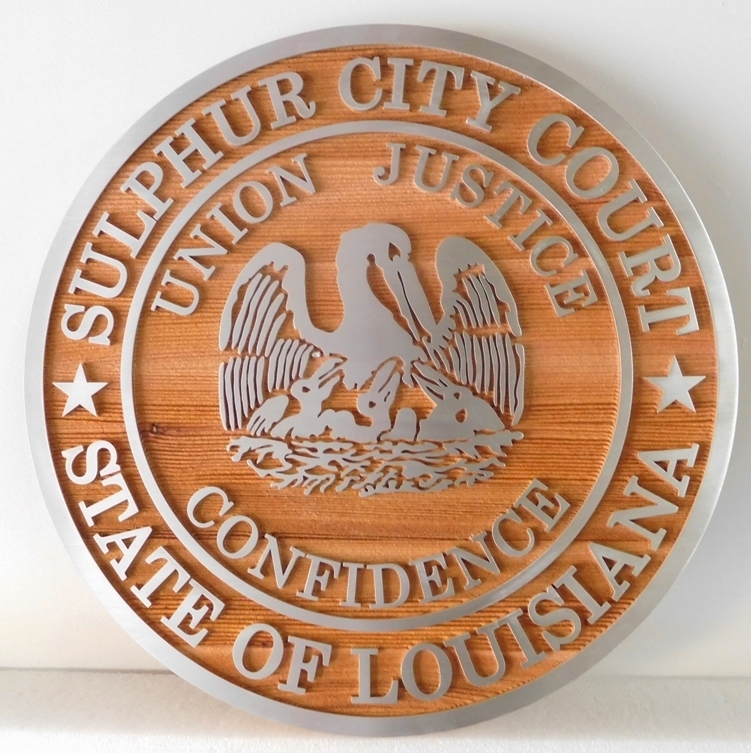 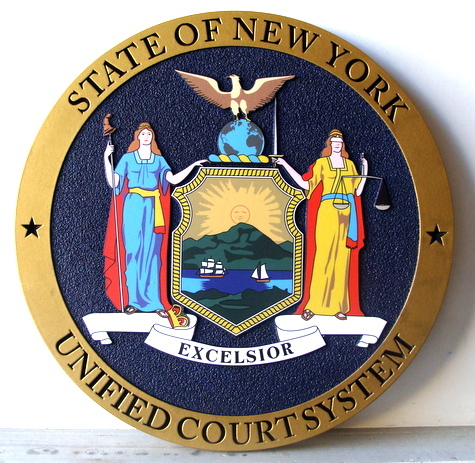 A10823 - 3-D, Carved Brass Wall plaque for the US Bankruptcy Court for the Southern District of Florida. 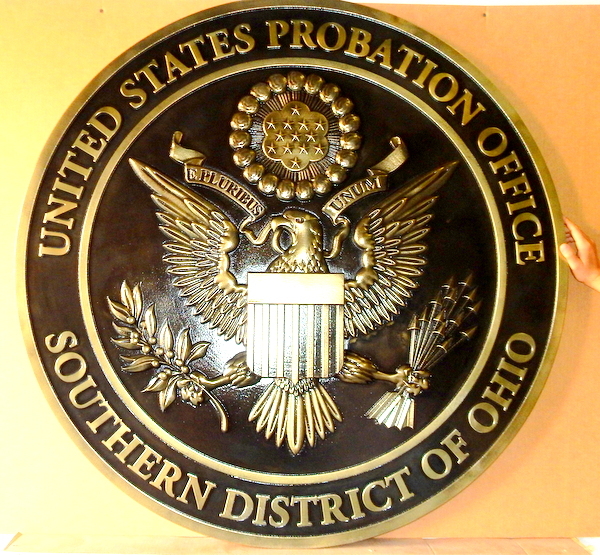 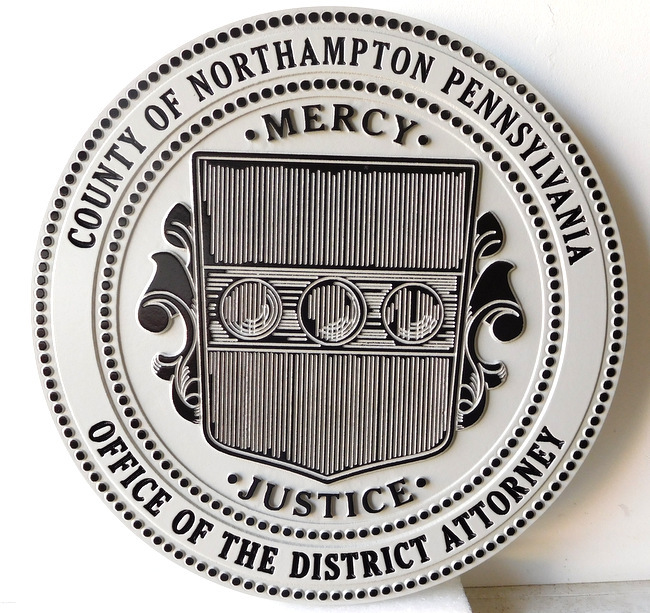 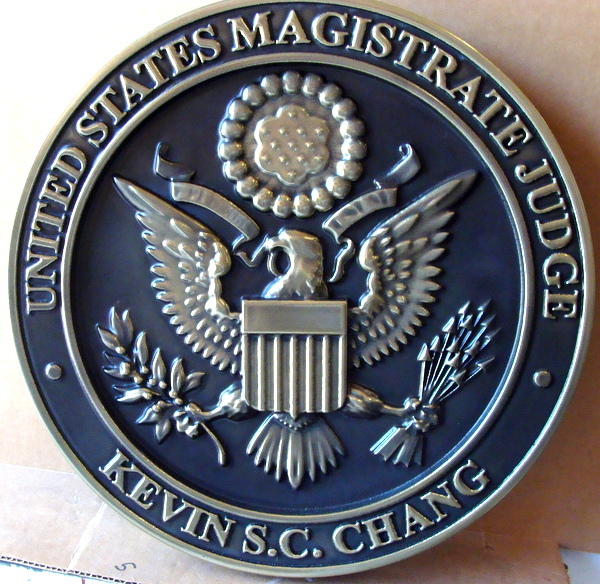 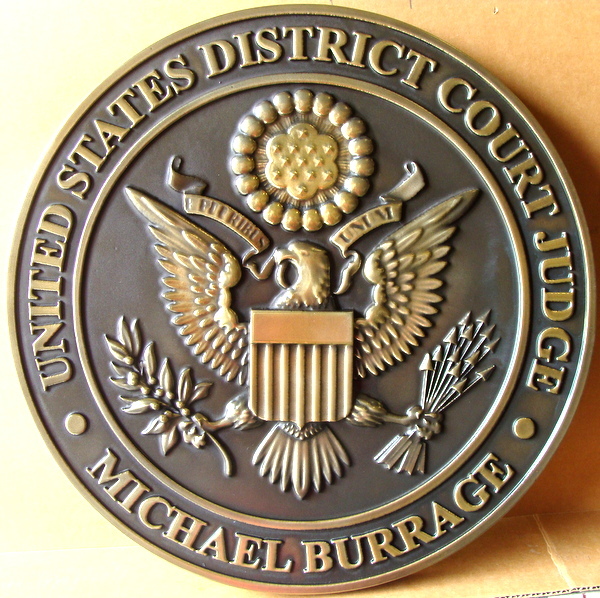 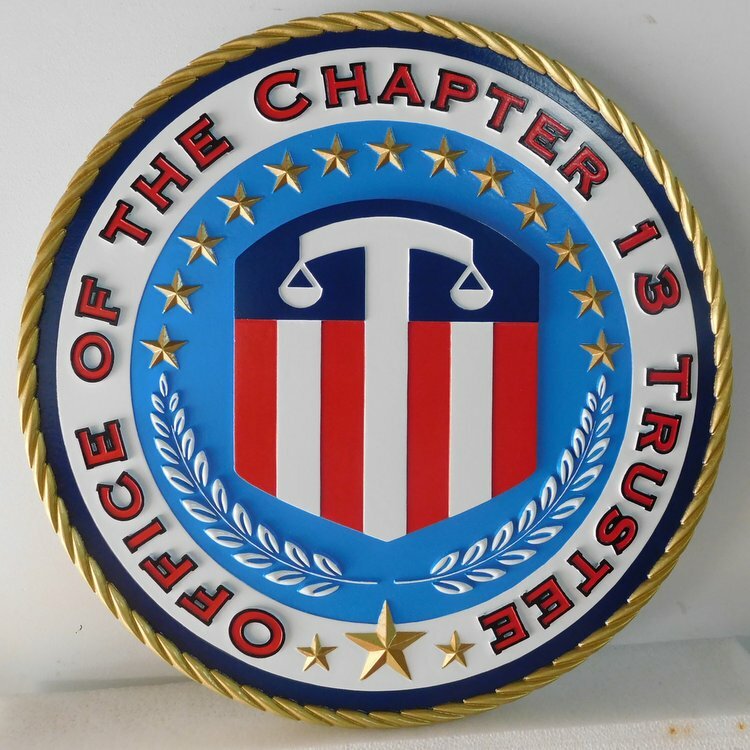 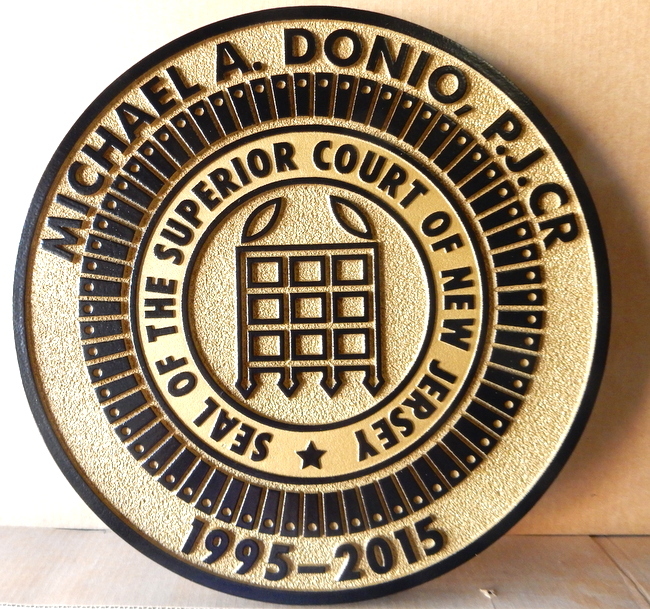 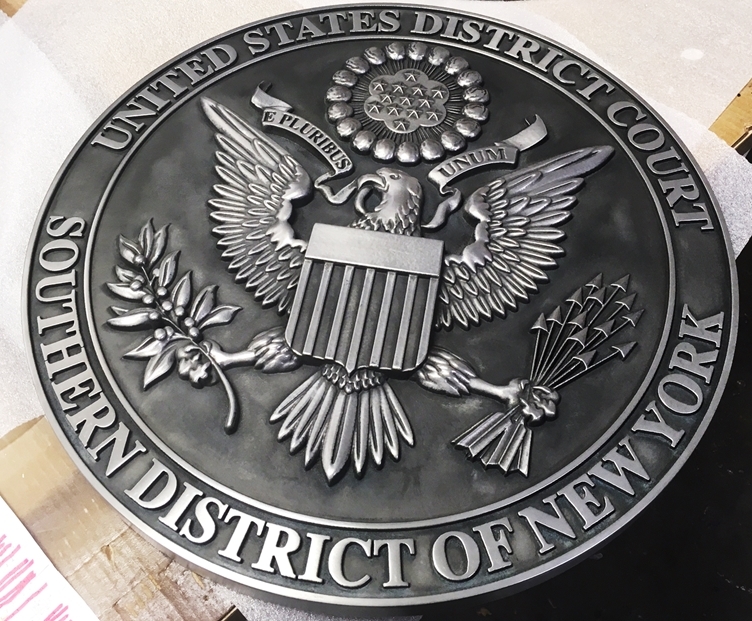 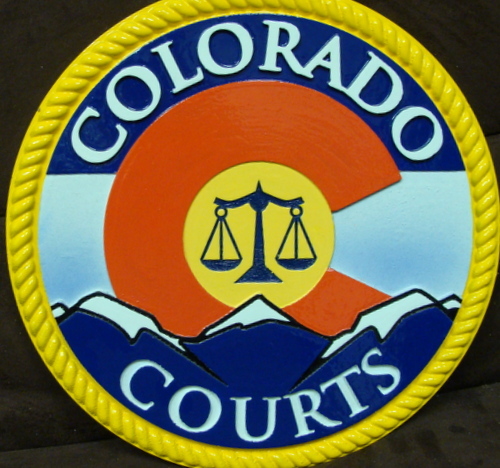 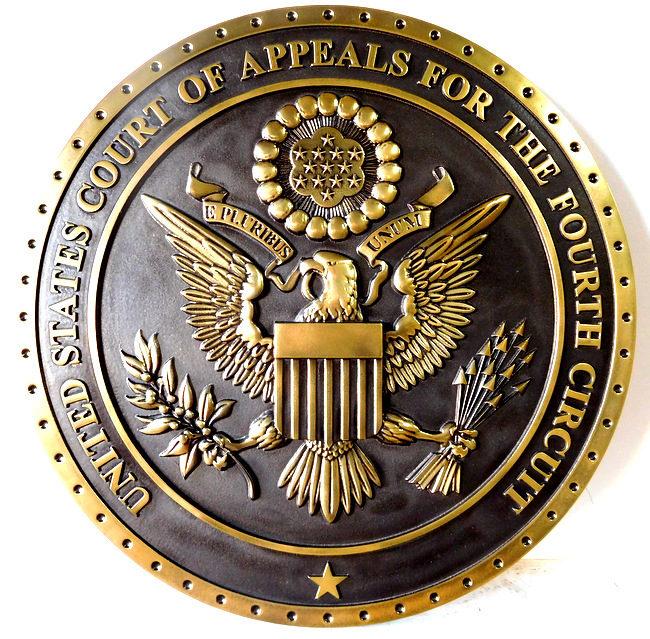 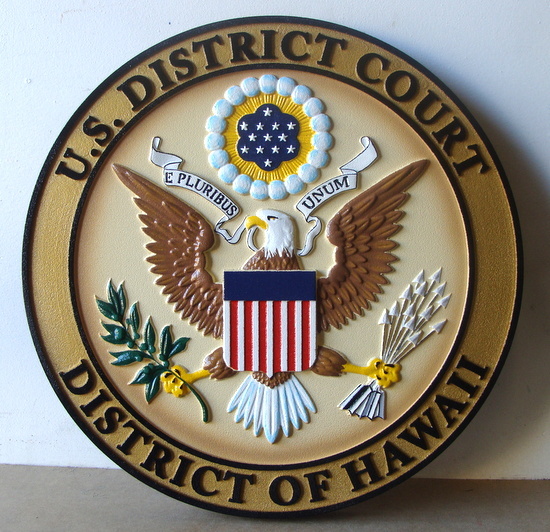 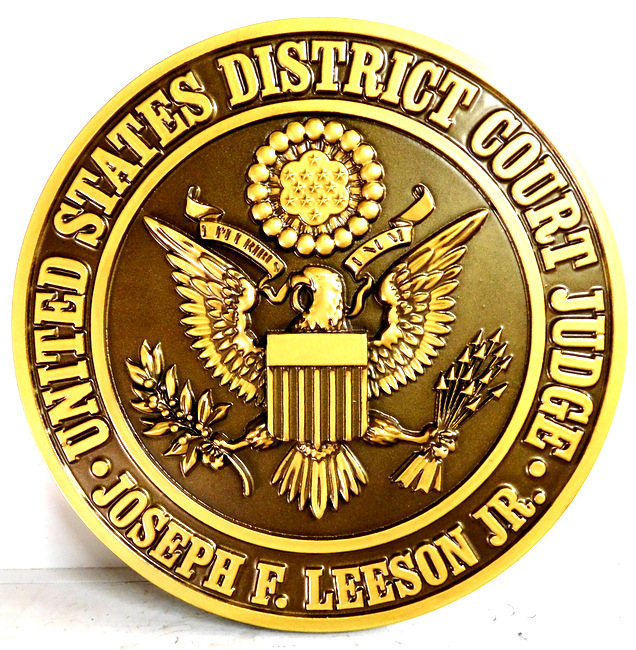 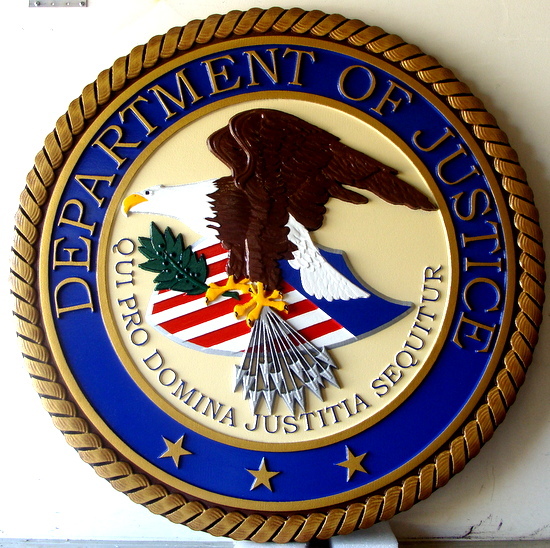 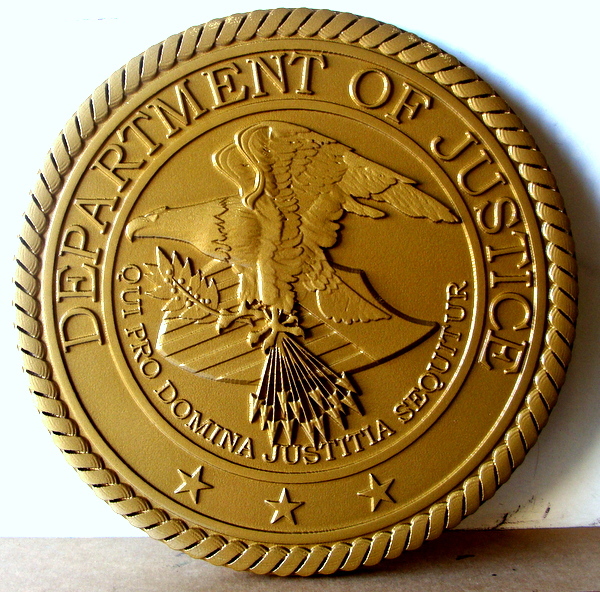 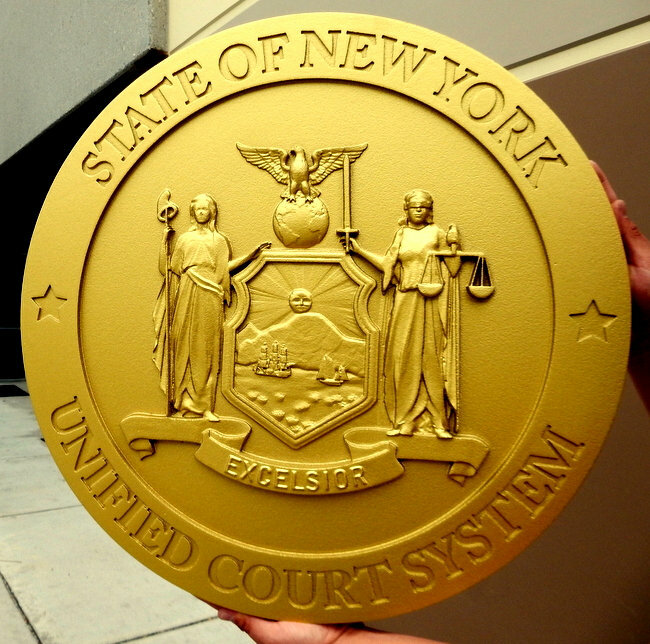 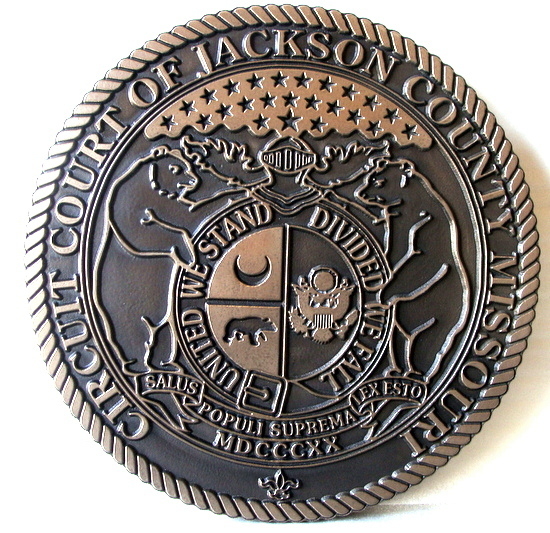 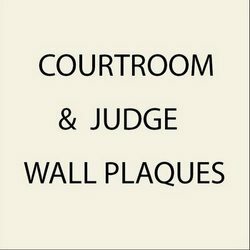 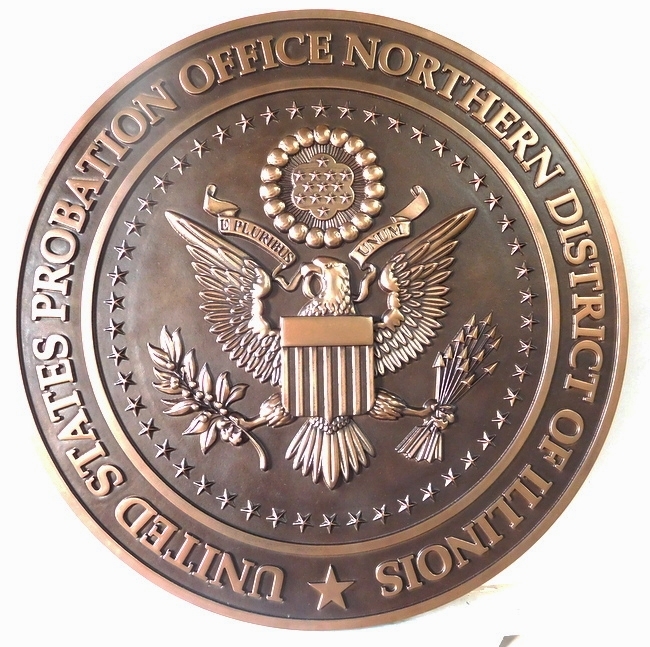 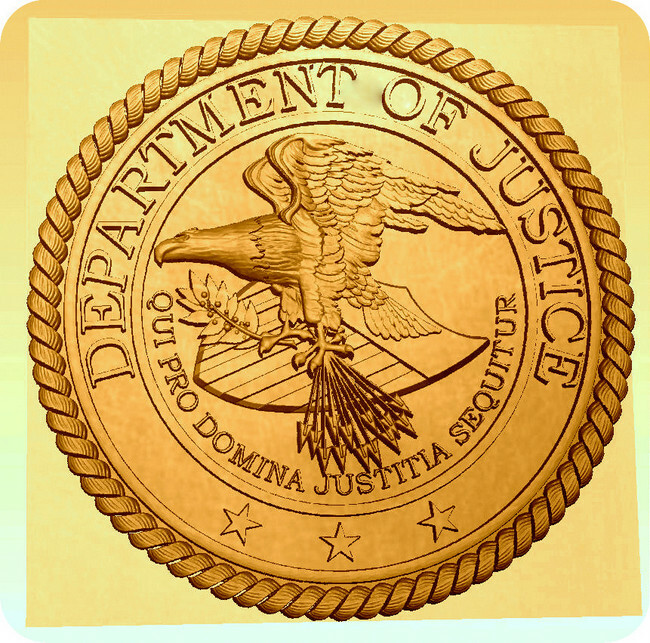 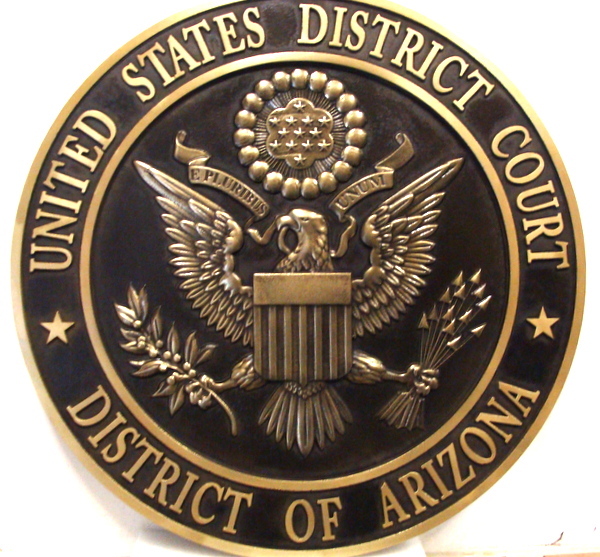 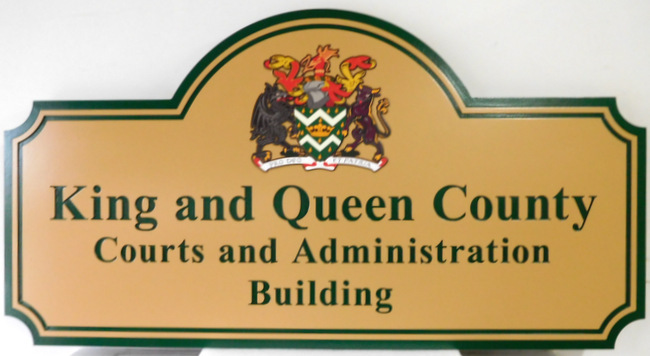 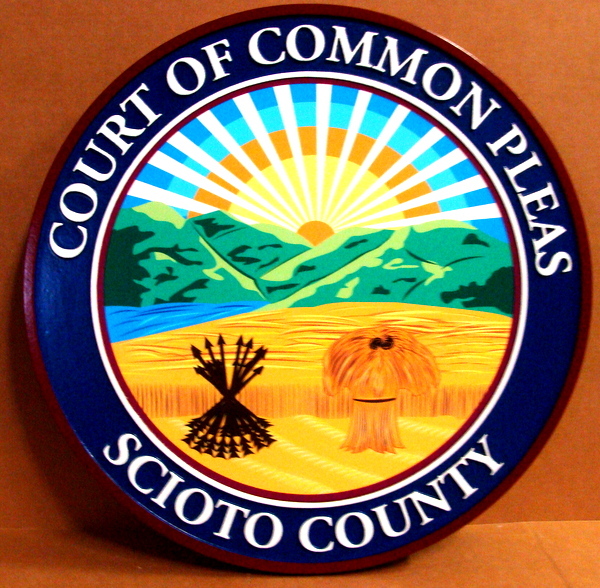 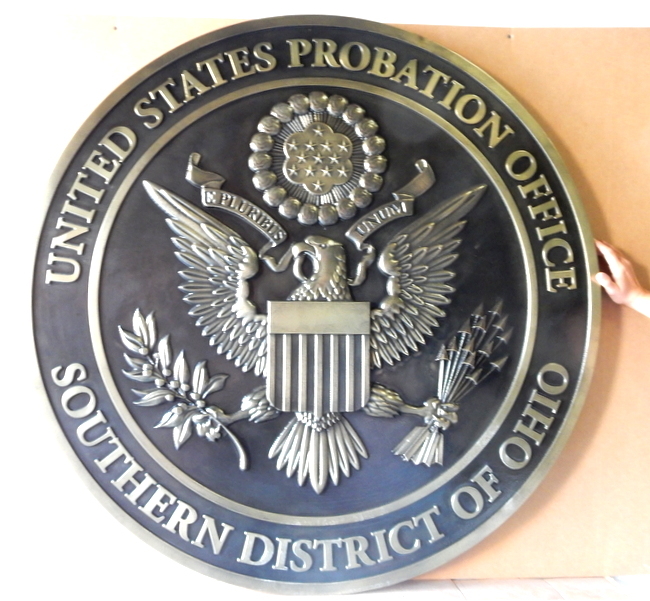 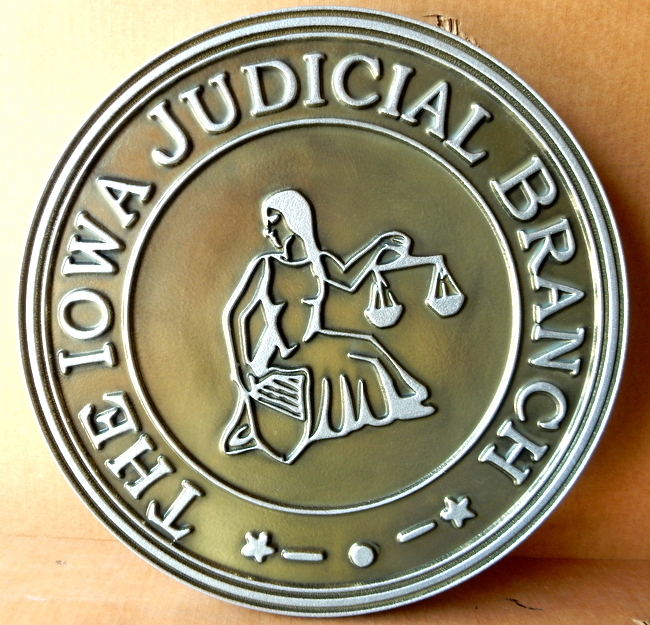 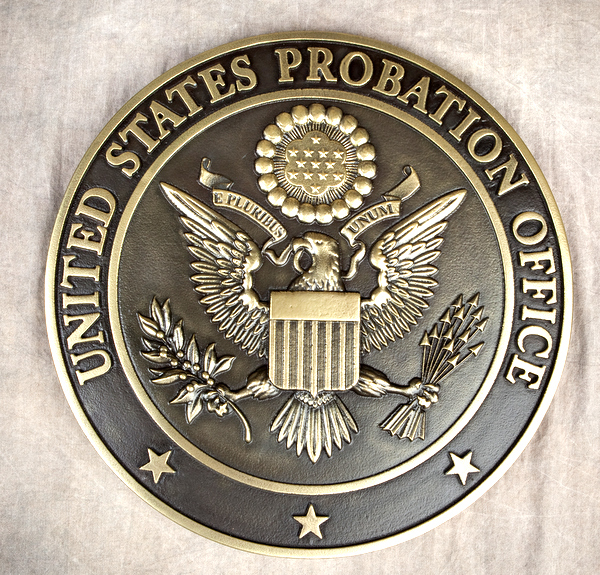 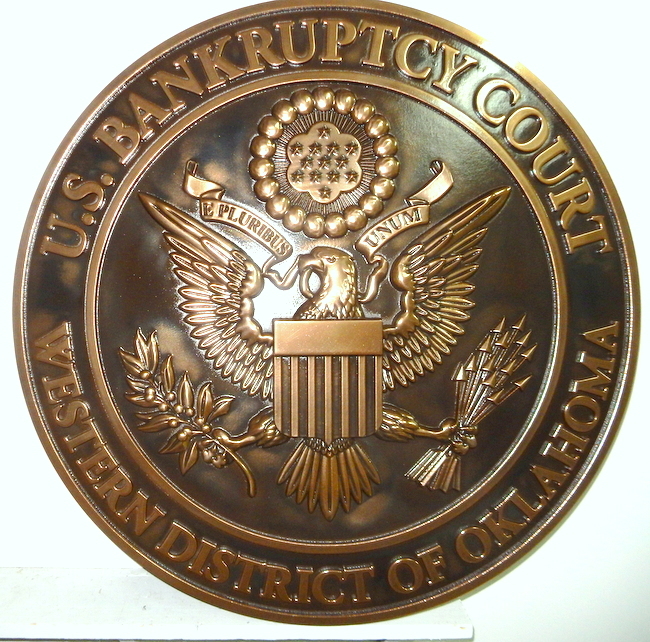 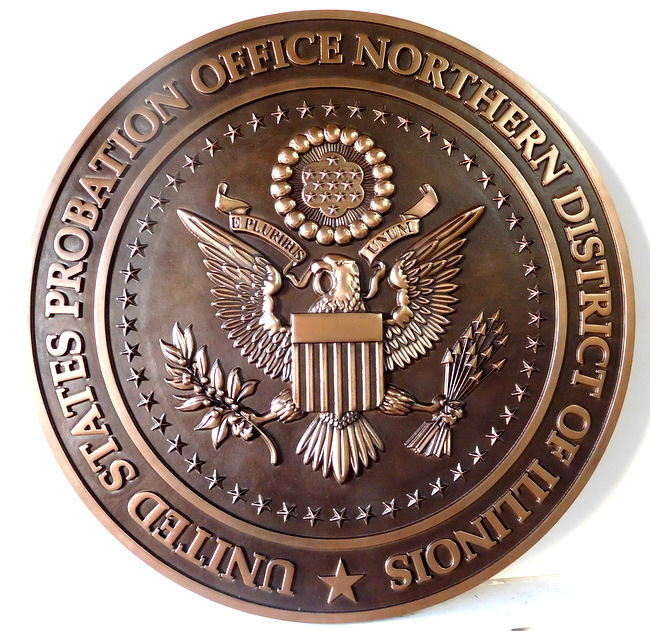 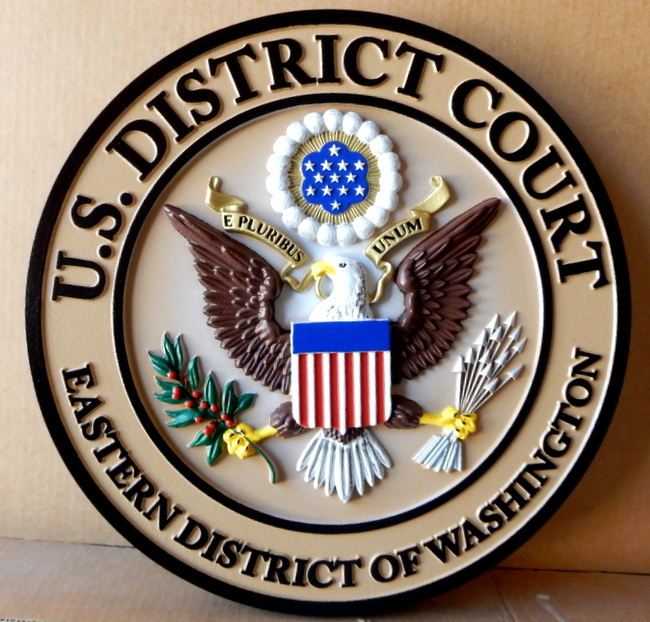 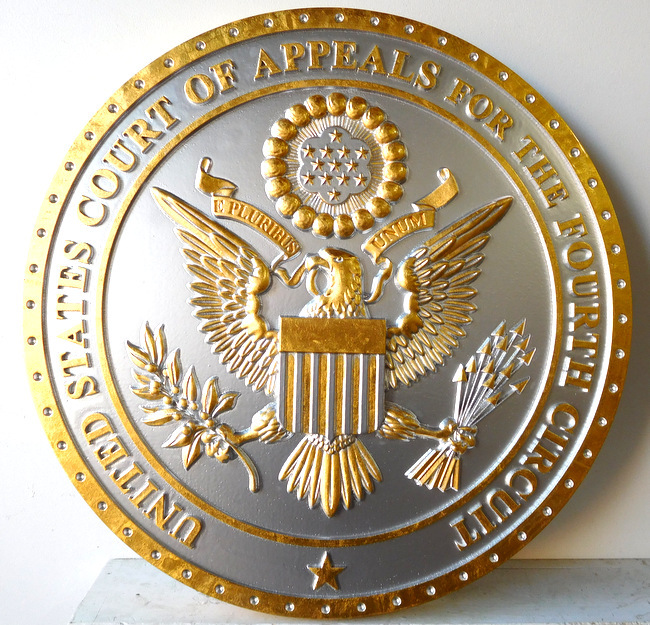 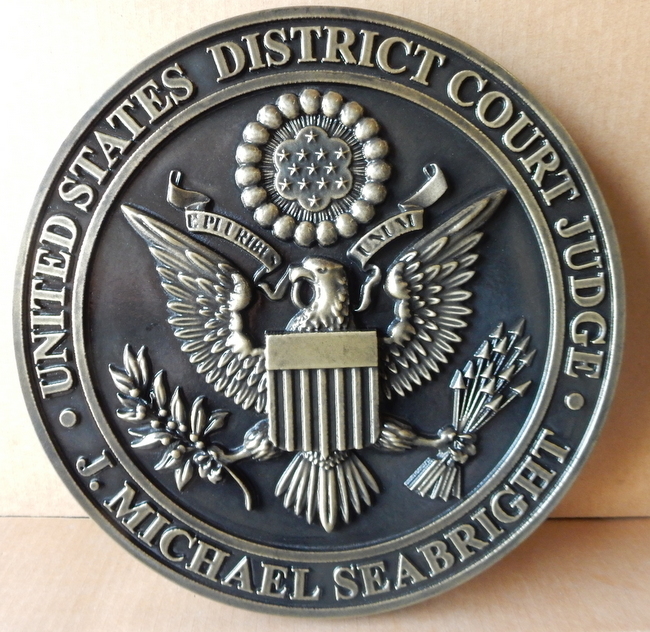 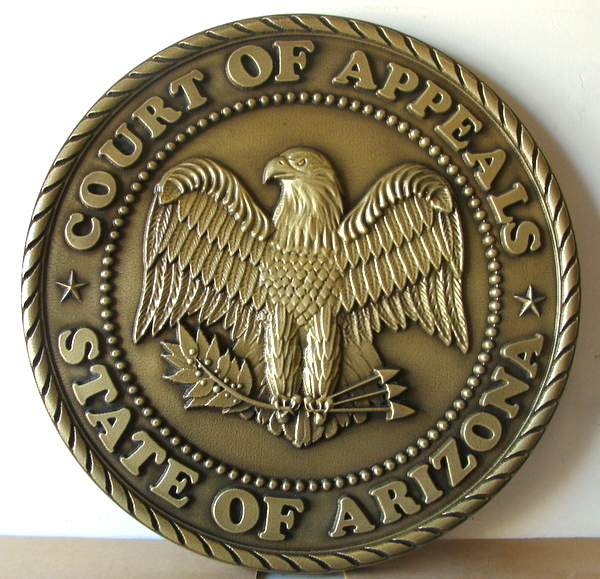 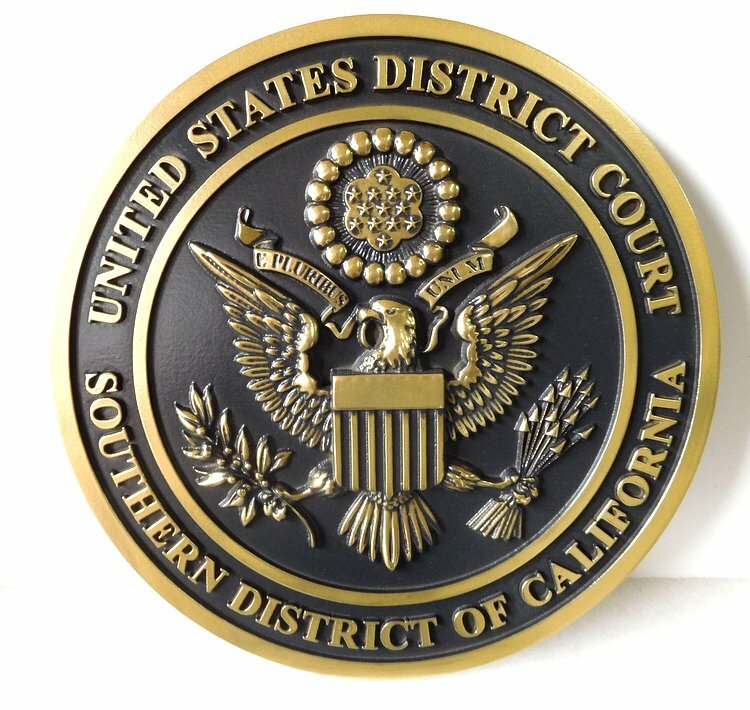 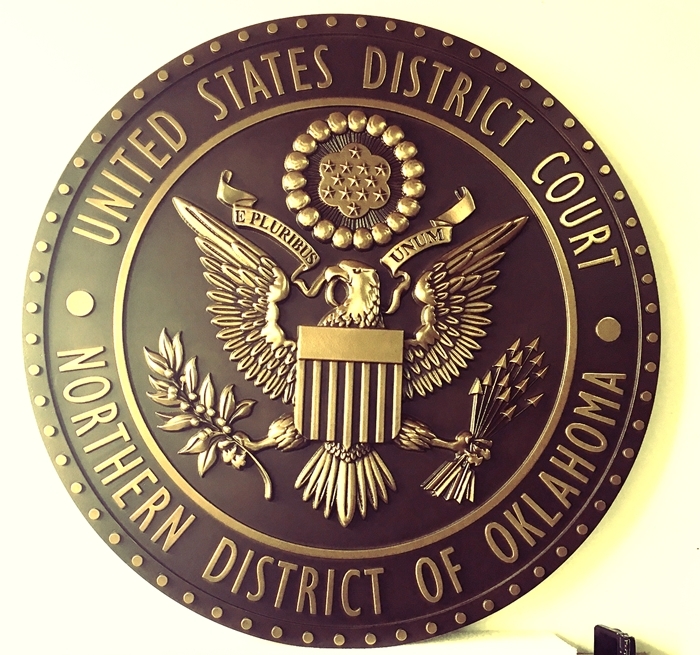 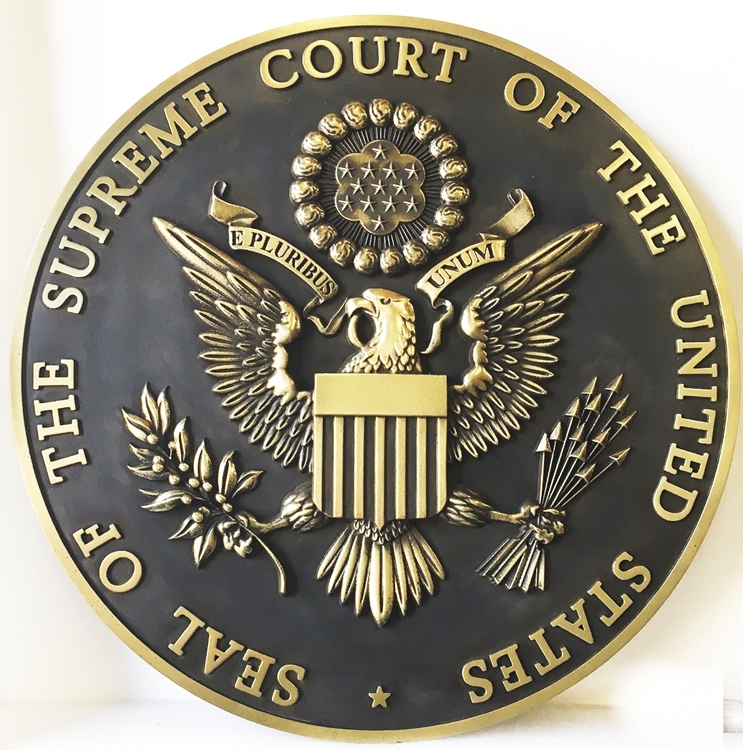 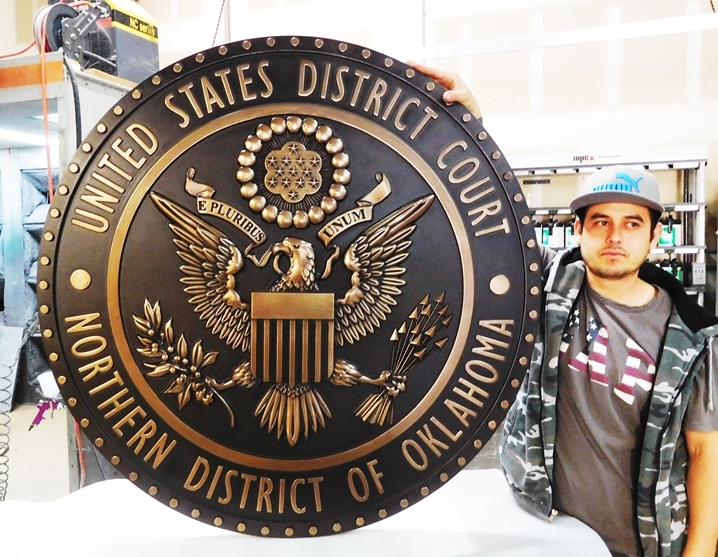 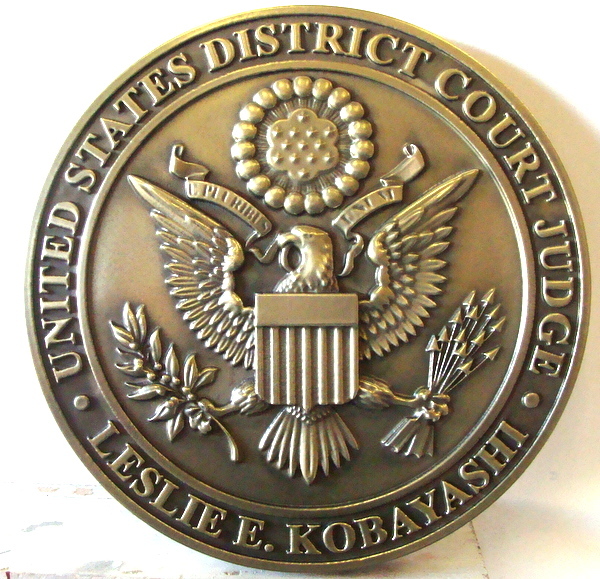 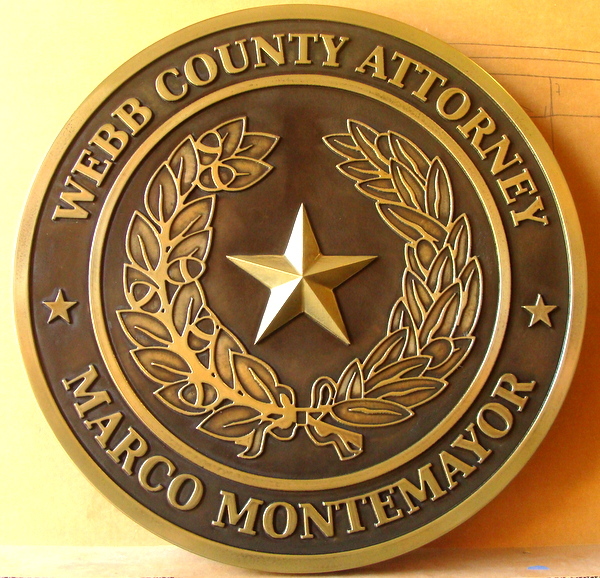 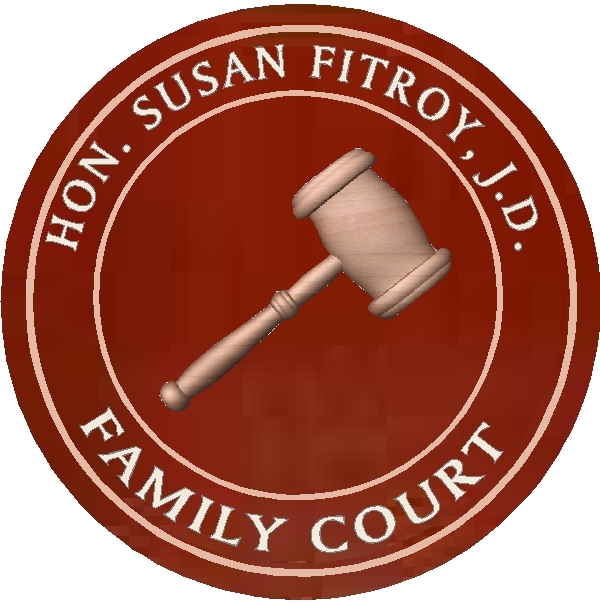 A10831 - Carved, Brass-Coated Plaque for the US District Court, Northern District of Oklahoma. 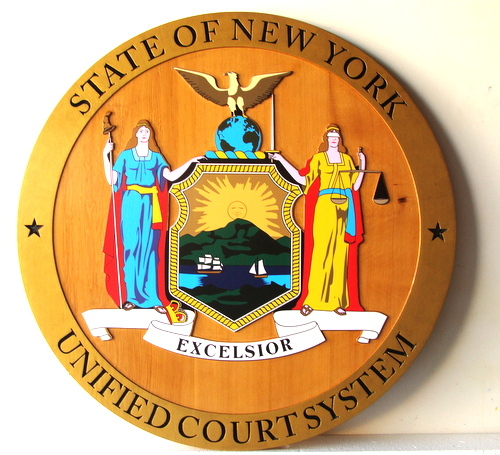 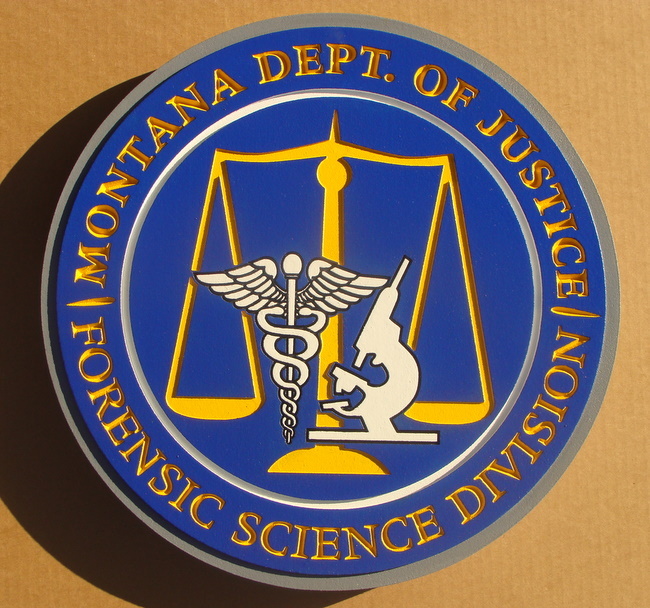 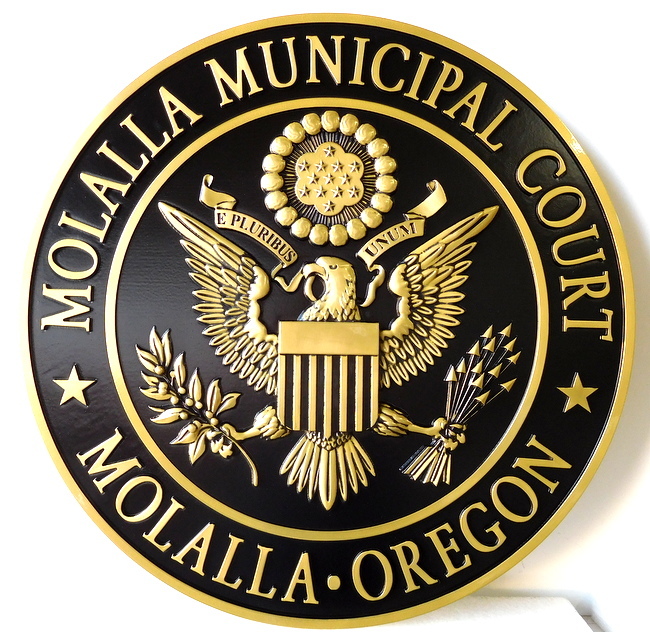 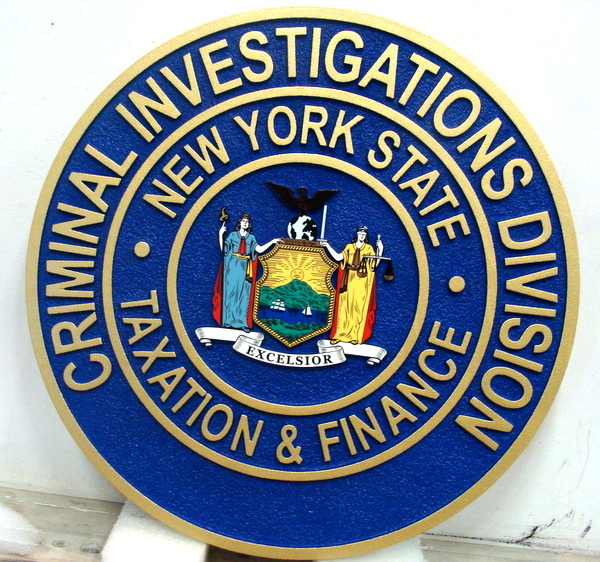 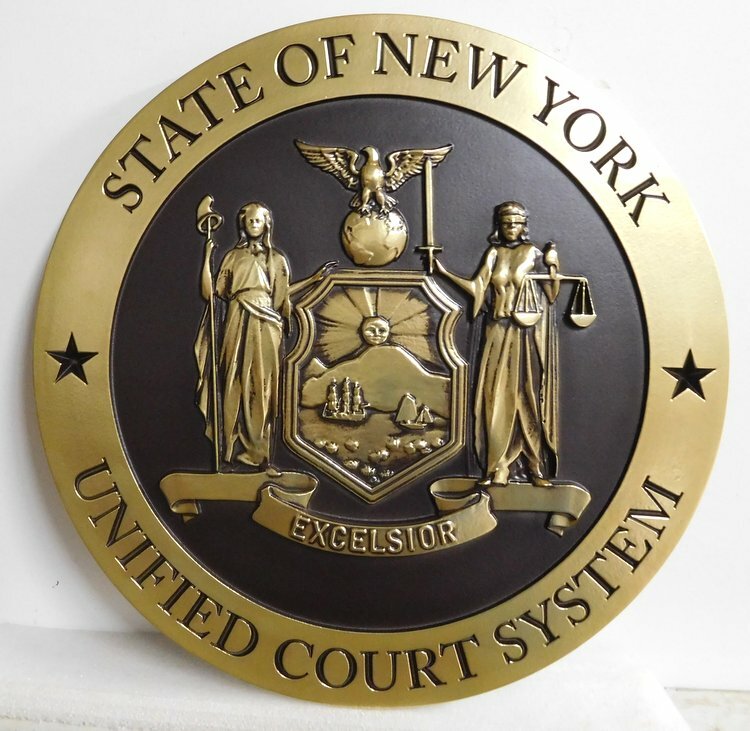 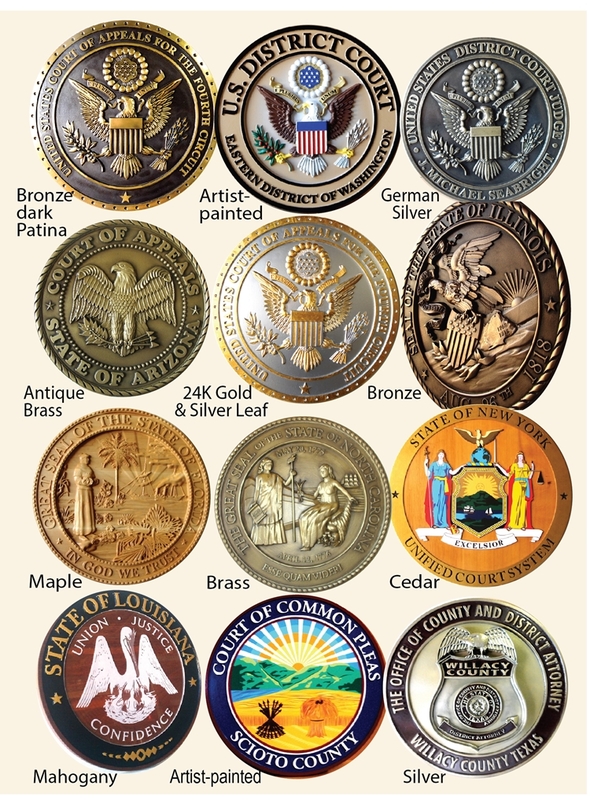 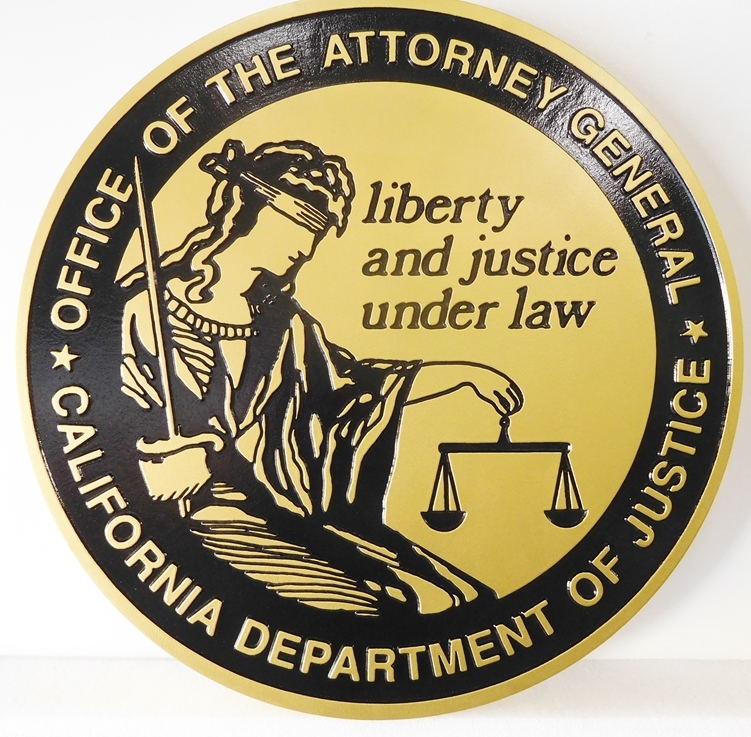 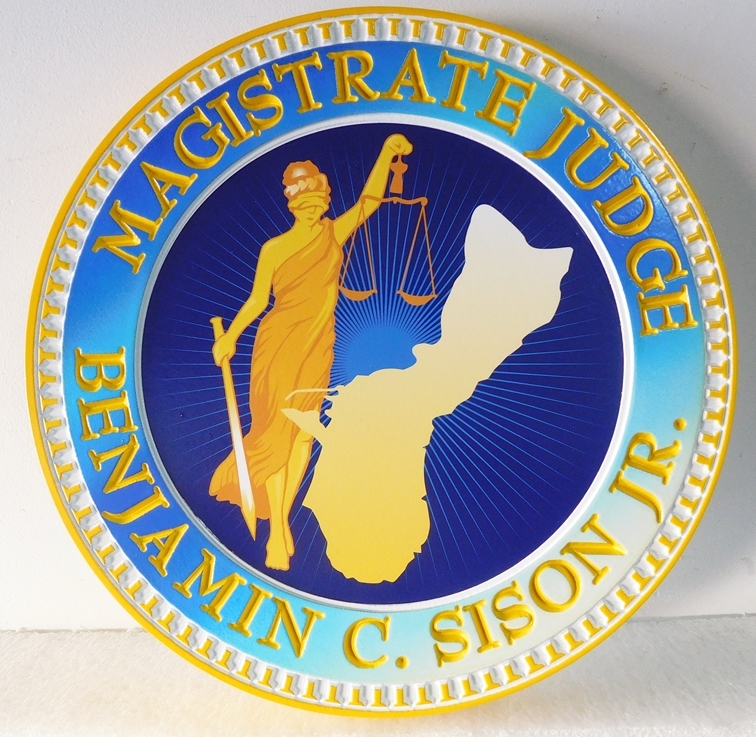 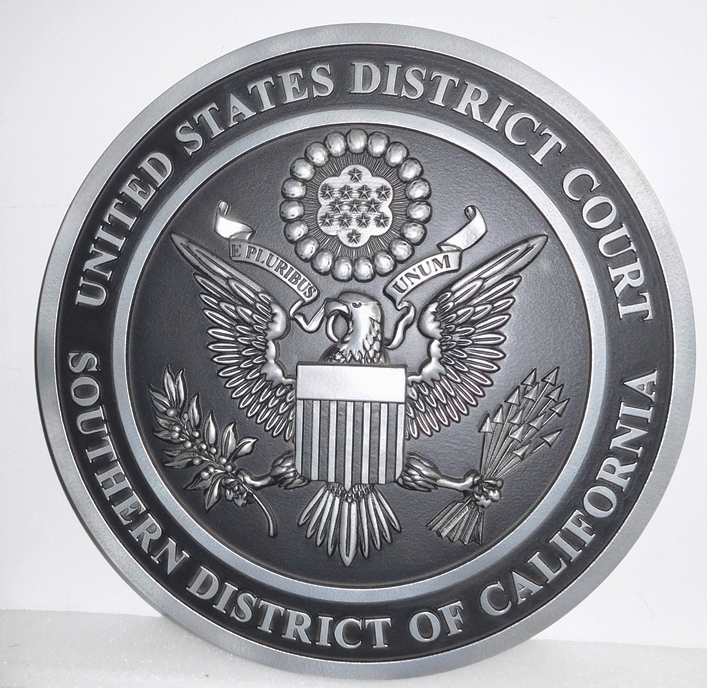 A10861 - Polished Brass-Coated Plaque for the Municipal Court of Mollalo, Oregon, featuring the US Great Seal. 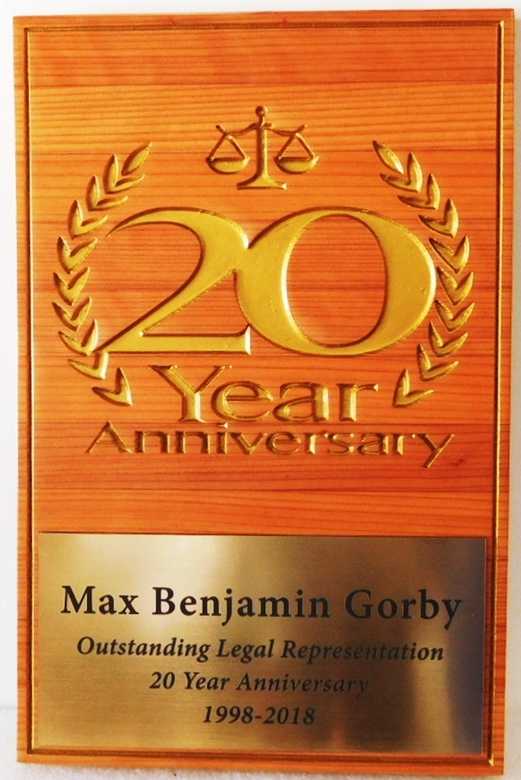 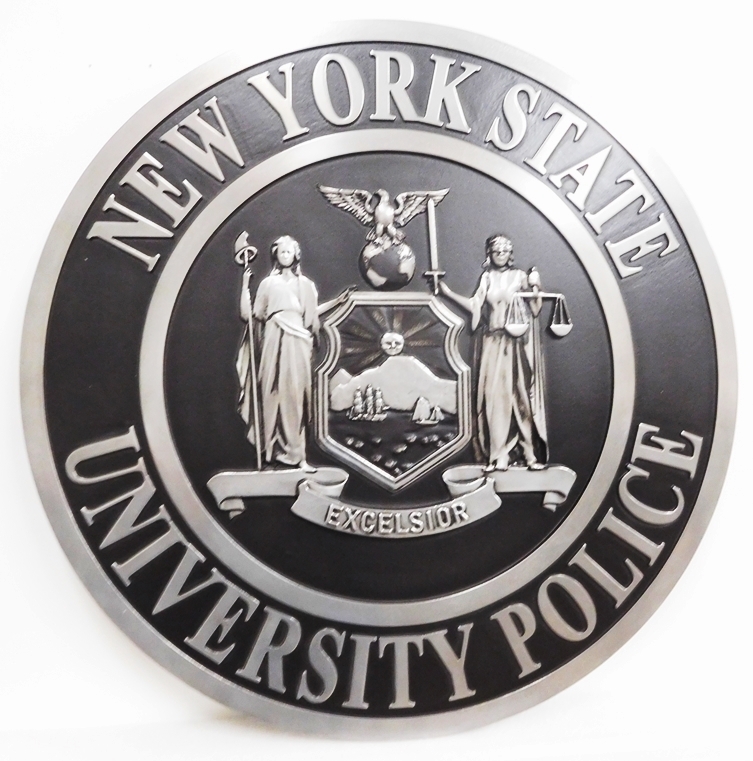 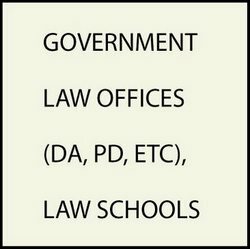 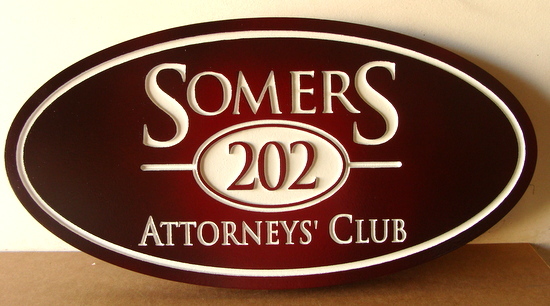 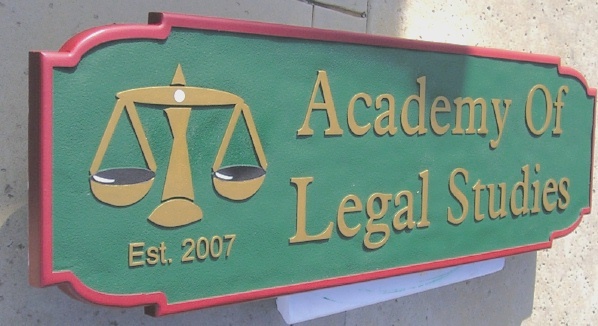 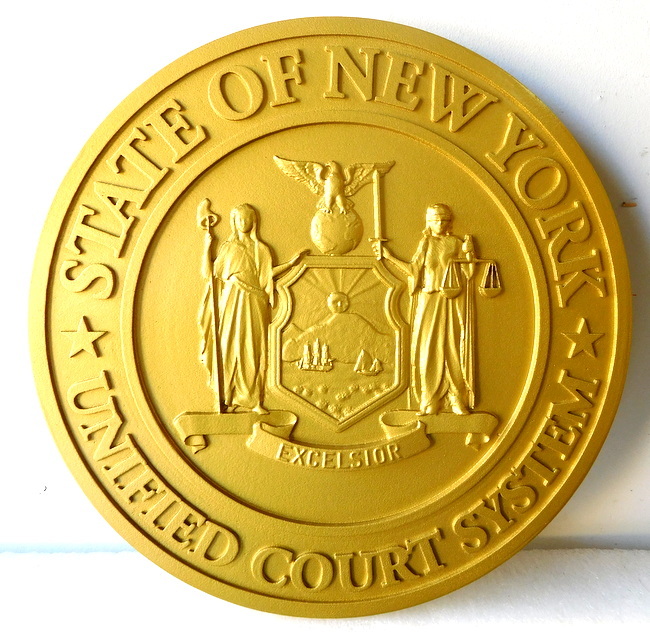 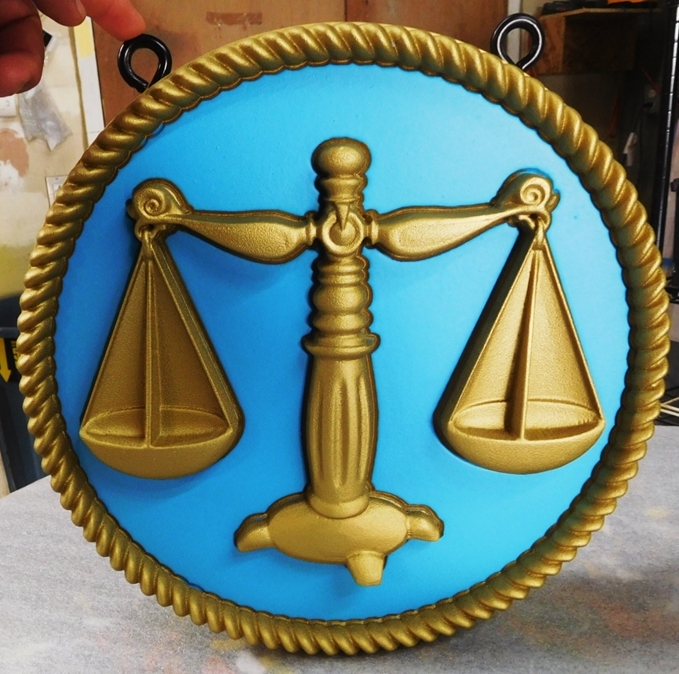 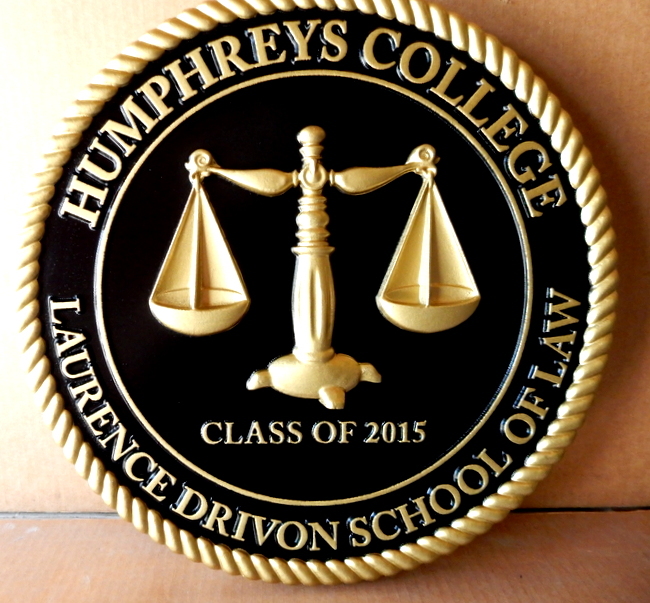 A10918 - 3-D Carved and 24K gold Leaf-Gilded Wall Plaque for Humpheys College School of Law.